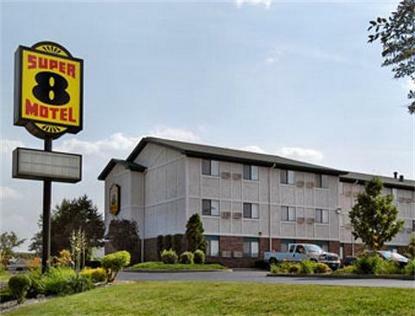 The Super 8 Milwaukee Airport is a Pride of Super 8, and is located off of I-94, just .2 mi from Gen. Mitchell Airport, 7 mi from all Milwaukee attrractions, including Summerfest grounds, State Fair grounds, IMAX Theatre, Midwest Airlines Center, Miller Park, Miller Brewery, Milwaukee Public Museum, Milwaukee Art Museum, Harley-Davidson Headquarters, Bradley Center, Petit Center and the Lake Michigan lakefront. The motel features free High Speed Wireless Internet, free deliuxe continental breakfast, free 24 hr. Airport shuttle, long-term parking available. In-room coffeemaker, safe and hair-dryers, 24 hr whirlpool.